No matter what style of martial art you practice, this series of videos will help you develop relentless throwing, takedown, and ground-fighting attacks so you can win big in competition or on the street. This vintage video series was originally released in 1997 and is as relevant today as it was then. Do you want to learn to throw like the big boys of world-class judo? On tapes 1 and 2 let John Saylor take you step-by-step through everything you need to know to slam your opponent to the ground. You’ll learn to develop a strong throw that your opponent fears and then group a small series of supporting techniques around it. You won’t just have an isolated technique; you’ll have a whole series. With Saylor’s systematic approach you’ll have strong follow-up attacks when your opponent defends your first shot thereby greatly increasing your odds of winning. 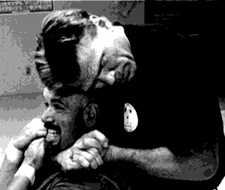 On tapes 3, 4, 5 and 6 you will learn simple and effective submissions and controls from all ground-fighting positions. You’ll learn to follow up your throws with immediate holds and submissions so fast your opponent won’t know what hit him. You’ll learn what to do when you’re on your back, on all-4’s, or when your opponent is in these positions. And just as in the standing techniques, Saylor will teach you a pivotal technique and help you build a series around it. In the old way of learning a bunch of isolated techniques and putting them together again by some kind of osmosis it would take you 2 lifetimes to get any good. But with Saylor’s systemic approach you’ll make progress faster than you think possible. How to develop a powerful forward throw with a series of supporting techniques around it. How to apply the devastating Self-Defense techniques of Osoto Gari. How to position and off-balance your opponent to throw him easily and avoid being countered. Secret Grip Fighting and Tie-Ups (Same-side stance) to nullify your opponents strength. These are the fine points that separate the Pros from the Amateurs. Throws and takedowns without a jacket. How to dominate your opponent with the Outside 2 on 1 series. Explore the explosive Self-Defense and Contest Applications of Kosoto Gari. Learn to slam your opponent with one of the most useful self-defense throws. Learn the advantages of Secret Grip Fighting with the jacket (Opposite Stance). Put the odds in your favor, even against bigger, stronger opponents! How to use a little-known Winding Arm-Lock against an opponent in defensive stance. Develop smooth transitions between standing and ground work. How to follow-up throws and knockdowns with finishing holds. Secrets of completely controlling your opponent as you move smoothly from hold to hold. .Powerful Breakdowns and Submission against opponent on all-fours. (Turtle Position). How to establish the guard when you’ve been knocked down or thrown to the ground. Simple Sweeps, Turnovers, and Submissions from the Bottom Guard Position. Secrets of prying a defensive opponents arms free to get the Cross-Body Arm Lock (8 different methods.). This part alone is worth much more than the price of the video! Many more high-scoring sweeps, reversals, and submissions from the Bottom Guard Position. Highly effective Turnovers and Submissions against an opponent in the Turtle Position (all-fours). How to defend and escape against Cross-Body Arm Lock. You’d better know this. The first part of winning is not losing! Learn to defend, reverse, and submit your opponent while fighting off of all-fours (a bad position to be in). Simple and effective guard passes. How to get up off the ground when you’ve been taken down. How to get “street-wise” on the mat. Secret Situation Drills to greatly improve your defense and offense on the ground. Train like this and you’ll have immense advantage over your conventionally-trained opponents! The Complete Training Video Package! Order all 6 videos and save $30.00!